At Boston Exterior Remodeling, we offer the highest quality gutter replacement & installation services that are not only functional but also aesthetically appealing. Properly installed gutter system prevents water from deteriorating your structures or causing unnecessary damage. Did you know that water that flows in a given location can erode your house all the way from the roof to the foundation? In a worse-case scenario, cracks may start forming in the foundation and eventually weaken it. So why wait to call in the experts when it’s too late? Gutters are essential and an expertly installed gutter system will collect water and divert it away from your structure. Got a historic home that needs remodeling? Using specialized gutter guards installed on top of gutters, these handy addition helps keep debris out and ensure no amount of clogs prevent the gutter system from functioning at its best. With many years of experience, commitment to excellence and customer satisfaction, and expert sheet metal precision, Boston Exterior Remodeling certainly ranks top in gutters and trim solutions. Boston Exterior Remodeling can install trough or box gutters that were used on older properties. With this, you’ll never have to worry about gutter replacement or repair that messes up your home’s old-days charm. Our solutions feature the latest seamless gutter equipment that deliver a dramatic upgrade that guarantees 100% customer satisfaction. With a powerhouse of highly trained and experienced technicians, we provide seamless gutter and downspout replacement and installation that make you look forward to the rainy and snowy seasons with confidence. Thanks to our expertise, we create our gutters on site, completely rolled out in custom lengths to perfectly fit your roof. And since our seamless gutters come with joints at roof corners, they rarely leak. As a leading home remodeling company in the region, we provide a range of construction services including roofing & siding, window installation, deck building as well as gutter replacement & installation. 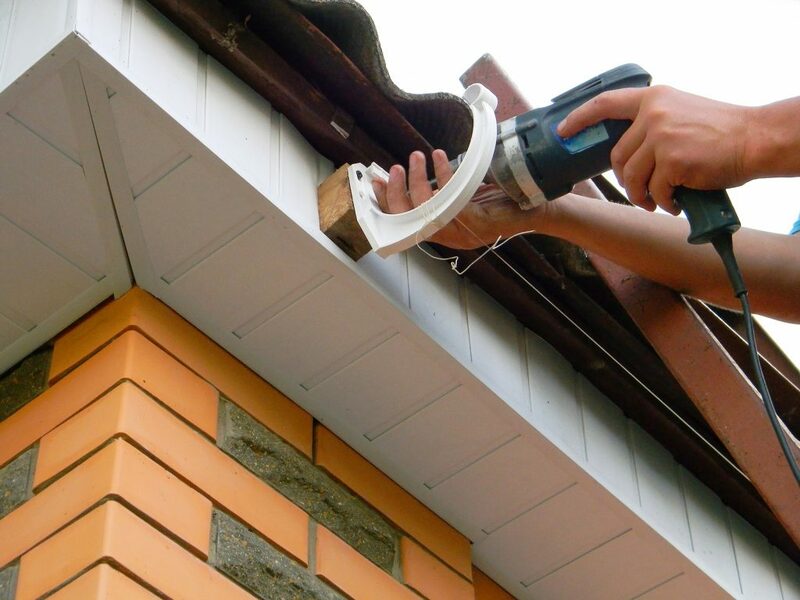 Want to know more about our gutter services? So what’s your home remodeling need? Whether roofing & siding or gutter replacement, repair and installation, we have the right product to suit your environment.